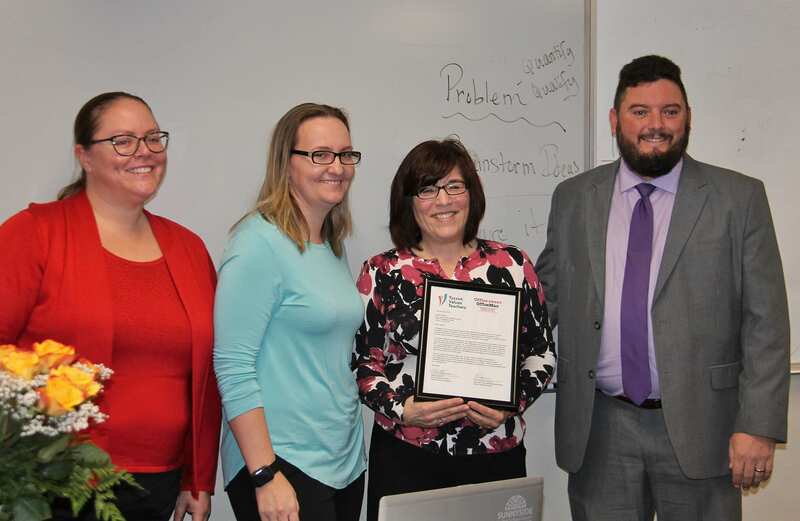 The January 2018 Tucson Values Teachers (TVT) Teacher Excellence Award was presented to Ms. Jackie Nichols– a Social Studies and Future Cities Program teacher at Lauffer Middle School in Sunnyside Unified School District. Joining in on the award presentation from Sunnyside School District were Thom Luedemann, Principal at Lauffer, and Donna Samorano, Academic Behavior Student Support at the school, as well as Ms. Nichol’s mother, Sheri, and husband, Joe Solorio. And of course, an enthusiastic Future Studies class! As part of her award, Ms. Nichols received a $100 OfficeMax/Office Depot gift card, a Teacher Excellence Award plaque, flowers, and donuts to share with her class. 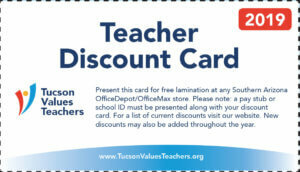 Teacher Excellence Award winners also receive a $250 cash award, which is new to the program these year thanks to generous funding of Tucson Values Teachers through TEP and the Helios Education Foundation.